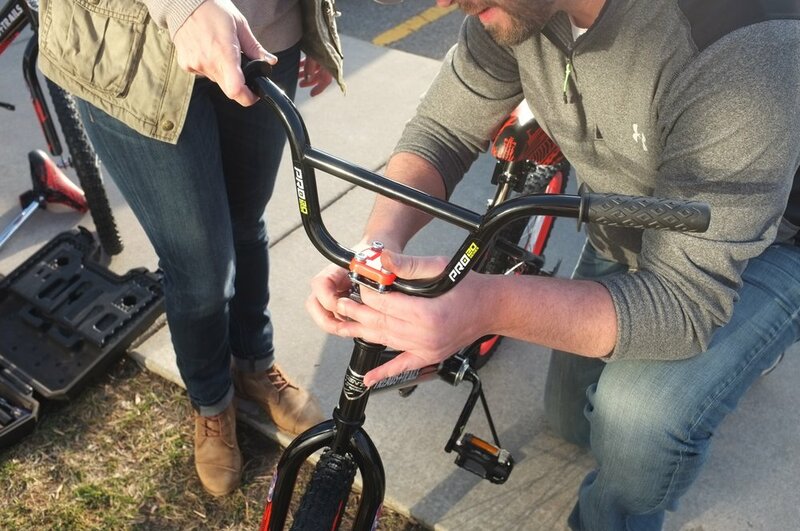 Perrin Brewing has recently partnered with the CAN’d Aid Foundation to help build bikes for kids that need them! 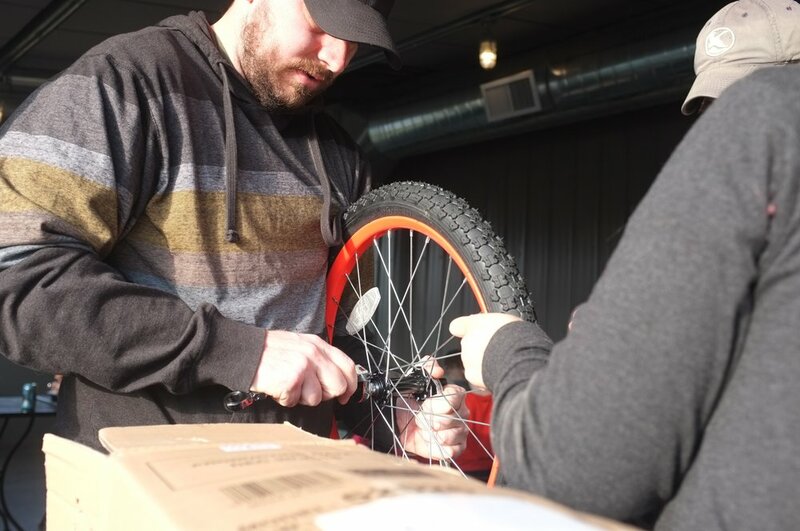 Volunteers joined the staff of Perrin at the brewery on Monday, March 20 to help build 55 bikes for the 1st grade class of Aberdeen Elementary. 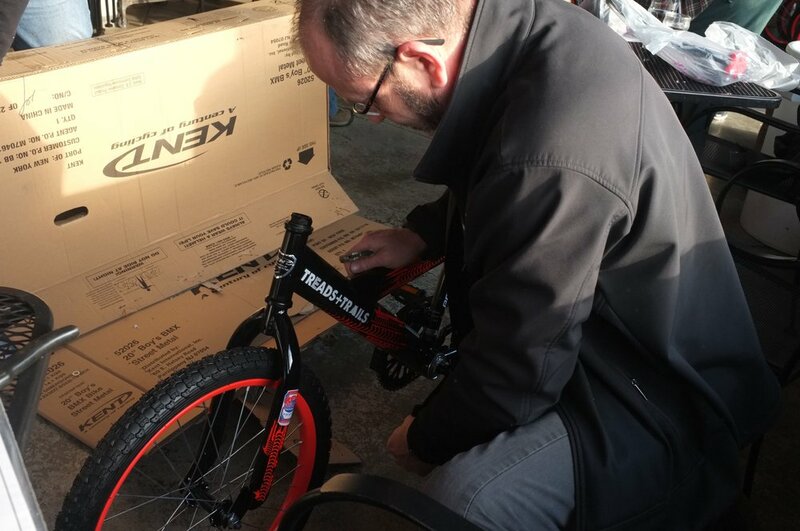 For many students, this will be their first bike ever. 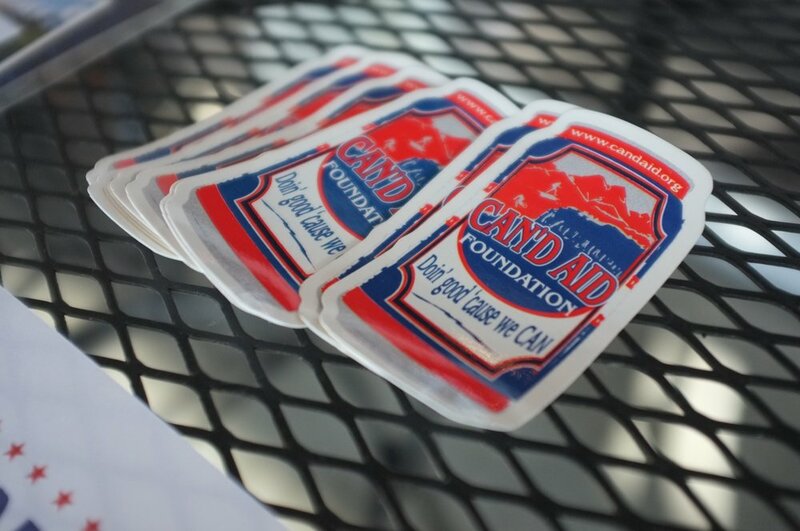 The CAN’d Aid Foundation is all about digging in and making a difference where they CAN. With a focus on “do-goodery” efforts on supporting Towns, Tunes, Treads + Trails and Love Yur Mama programs. The bike build program is about rallying volunteers to help build brand new bicycles for title 1 schools in communities around the nation. 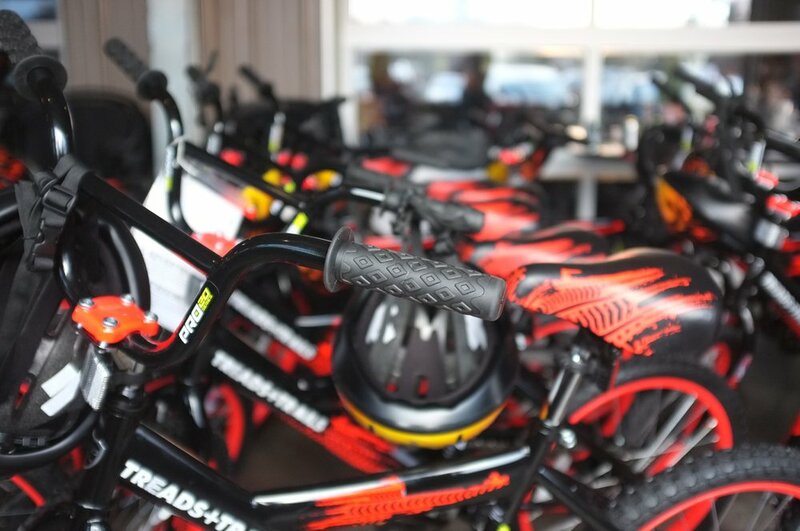 On Tuesday, March 21 the bikes were delivered to the students of Aberdeen Elementary. 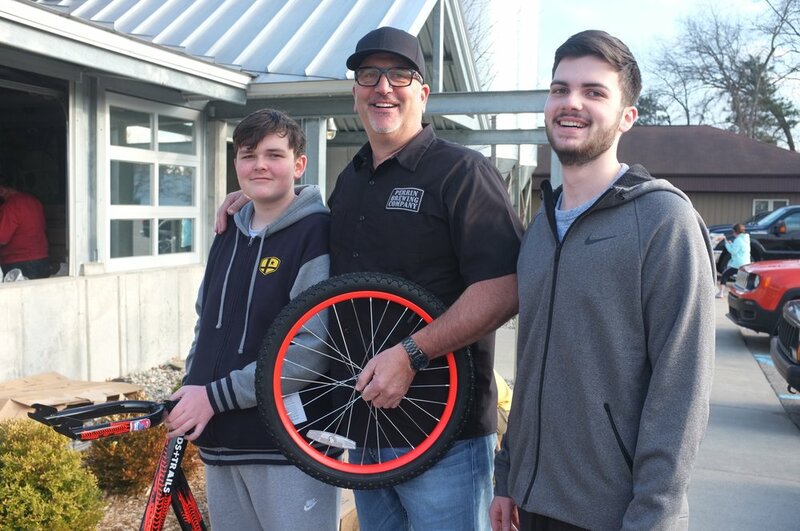 The bike presentation included a special bike demo and bike safety from Jeff Lenoksy, a world-class professional freeride and three-time world champ. 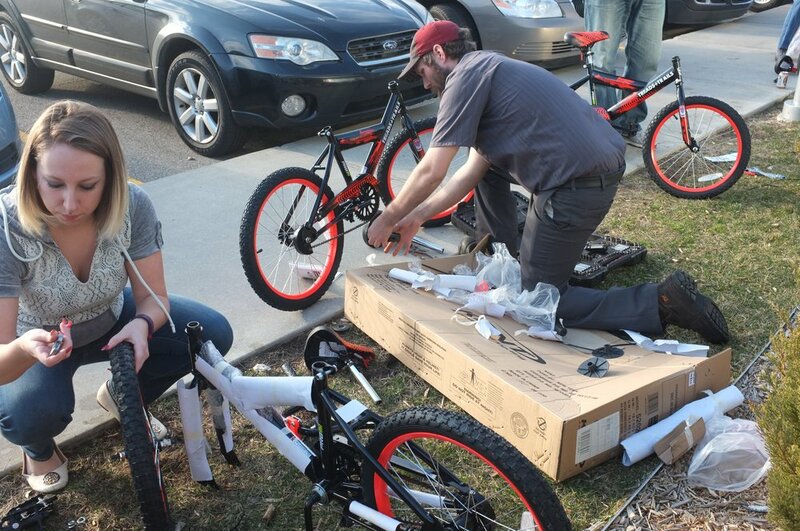 At the end of the day, 55 lucky students at Aberdeen Elementary were able to ride home with a new bicycle!